Hey everyone. 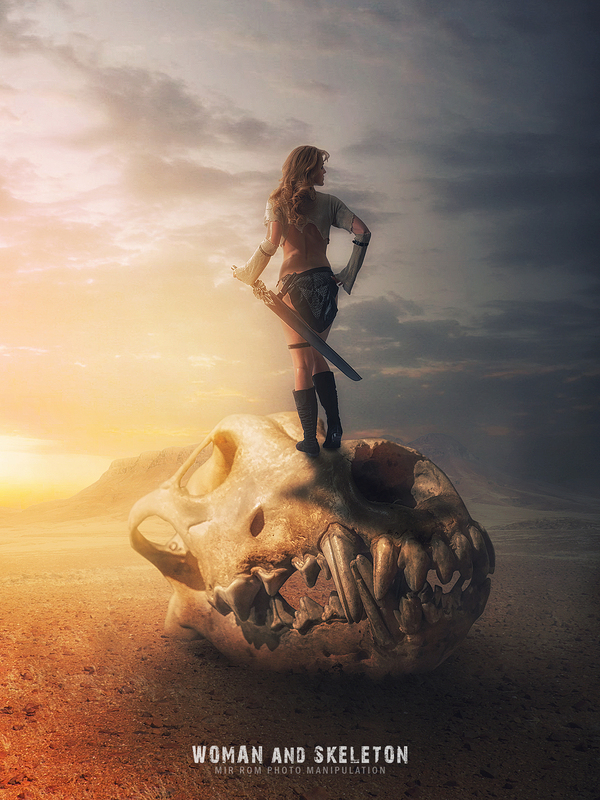 Today I am going to show you how to create photo manipulation with a woman's scene standing on a big skeleton in the middle of the desert. We will learn techniques of combining photos for backgrounds, painting with brushes, lighting effects, adjustment layers, masking and filter effects. Enjoy!